At the busy intersection of Corso Vittorio Emanuele and Via Maqueda, in Palermo’s historic center, sits Quattro Canti–four corners. 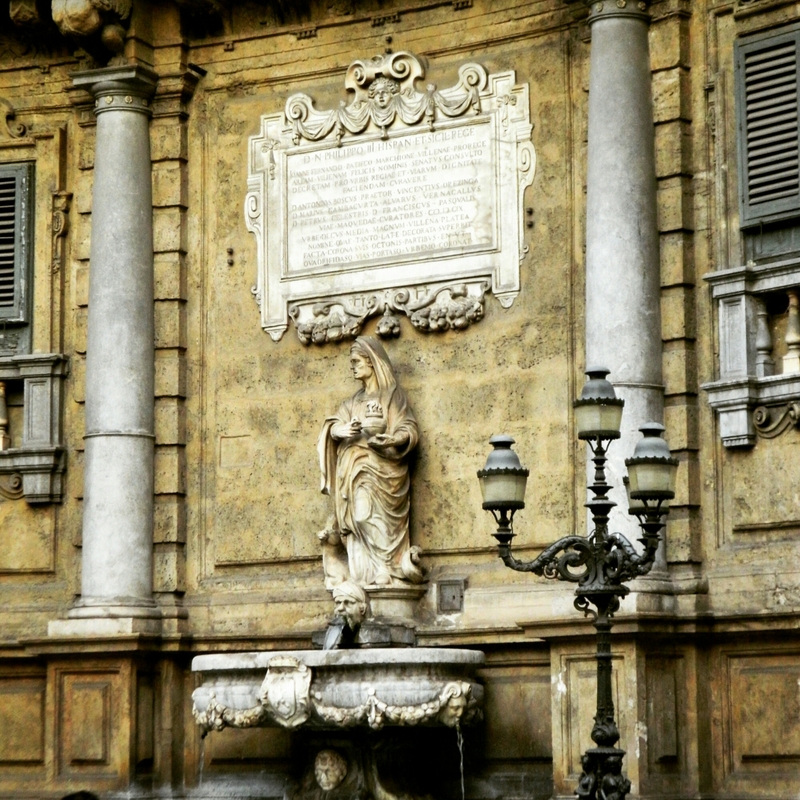 The crossroads is flanked by four 18th century Baroque facades, each with a series of statues: At the top, the city’s patron saints prior to Santa Rosalia; in the middle, the Spanish kings of Sicily; and at the street level, four fountains, each graced with a woman at various stages of her life that represent the four seasons of the year. Today, on the winter solstice, I present to you an old woman holding a flaming lantern who represents “inverno” or winter. I will observe them more carefully next time in Palermo! Stand by for upcoming posts about the original patron saints at the top of the facades!